This degree programme focuses on the broad areas of accounting and management, with an international emphasis and is designed to prepare you for a variety of responsible and professional managerial roles in both the public and private sectors. The programme aims to provide a four-year degree-level education in accounting. The programme will be delivered entirely in English, at the campus of Beijing Institute of Technology (BIT) in Beijing, by a combination of BIT staff and staff recruited by Henley Business School (60/40 teaching split). The study of accounting progresses through the programme, so that students obtain a critical grasp of core theory along with knowledge, and skills of application and analysis related to this discipline and the opportunity to apply for credit for prior learning for a range of professional bodies such as Association of Chartered Certified Accountants (ACCA). The management aspect of the degree offers a grounding in the ‘external' environments of the firm - such as markets, marketing and strategy - but then allows students significant flexibility in designing the further features of their degree. Both the accounting and financial management aspects of the degree are distinctive in placing a strong emphasis on international aspects. The programme is differentiated from the single subject degree programme Business and Management by having a greater emphasis on accounting and financial management. In addition to 17 compulsory degree level modules, students will be required to take 3 non-credit bearing compulsory foundation modules in the first year. There are also a number of additional requirements, as stipulated by the Chinese Ministry of Education and the BIT, that are compulsory and credit bearing in order to achieve the BIT BSc Management award. Please refer to the BIT BSc Management programme specification for details of these additional elements. These are outside University of Reading qualification. If you have any questions, please contact us by email at hbsuginternational@reading.ac.uk or by phone on +44 (0) 118 378 6204. Beijing Institute of Technology, China. According to the admission rules in China, BIT will only make offers to students achieved top 5% after taking the Chinese University Entry exams (GaoKao). *These modules are replaced by BIT equivalent modules. The fee for academic year 2014/15 will be 60,000Rmb. 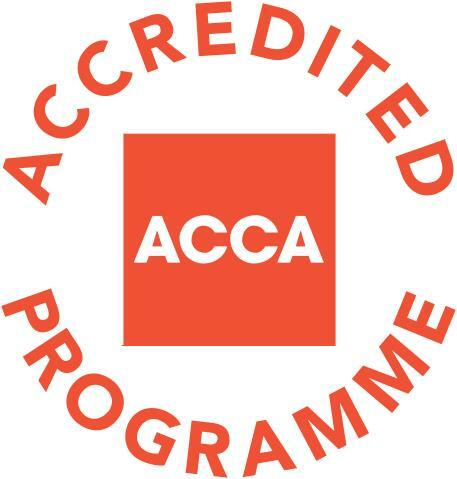 This programme is accredited directly by professional accountancy bodies: ACCA and ICAEW. Students on the programme will obtain exemptions from professional examinations when they successfully complete the degree programme.